The term "mulberry" refers both to the silkworm moth and the type of plant that they thrive on. 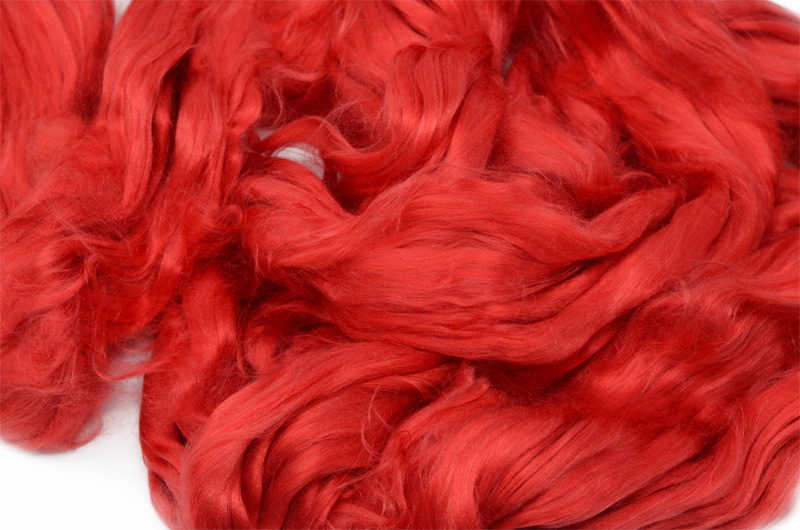 This natural fibre is processed and dyed to produce a dazzling range of colours, each one superfine and soft against the skin. These silks can be spun into yarn on their own, but it takes a very steady and experienced hand. They can also be easily incorporated into blends.